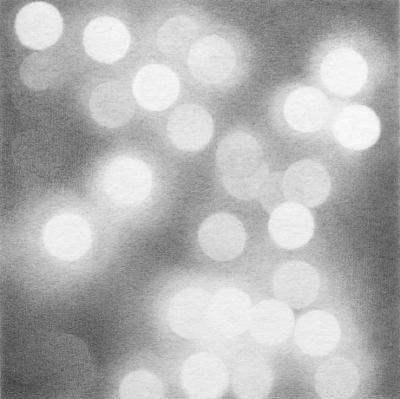 Rica Bando, Urban Light Front Street V, Graphite, 12.5 in X 12.5 in, 2007. 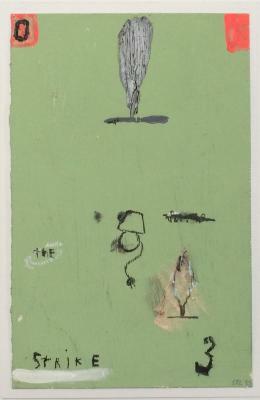 Stephanie Brody-Lederman, The Strike, Acrylic and graphite on paper, 11 in X 7 in, 2002. 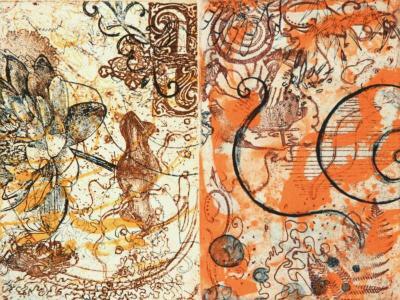 Ken Buhler, Two Notes, Intaglio, Edition: AP 2/4, 12 in X 16 in, 2011. 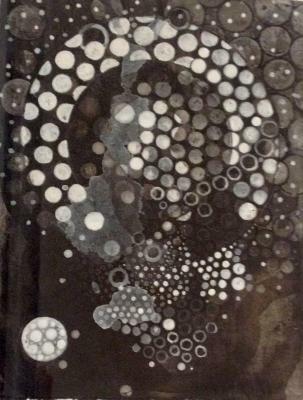 Ellen Chuse, Grand Cascade, Charcoal, 42 in X 97 in, 2005. Ellen Driscoll, Untitled (Rome), Collage, 9 in X 6.875 in, 2013. Ellen Driscoll, Untitled (Rome), Collage, 12.125 in X 9 in, 2013. 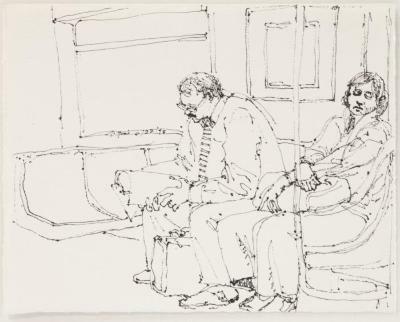 Richard Gins, Subway Riders: Woman Sleeping & Man Reading, Ink on paper, 6.5 in X 8.5 in, 1998. 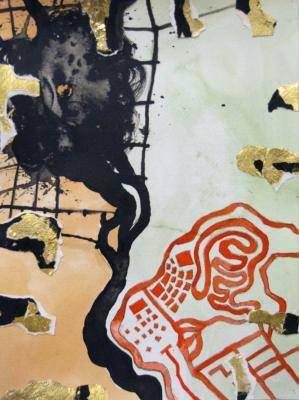 Mary Hambleton, From the Mirus Series / P-0504, Shellac polymer and oil on paper, 7.5 in X 5.5 in, 2004. 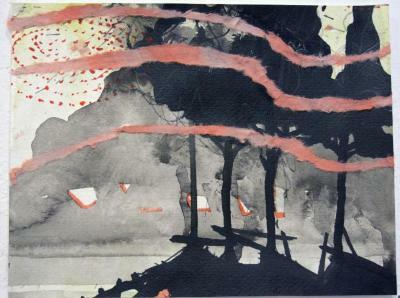 Erick Johnson, Untitled pp 104, Watercolor/gouache, 5 in X 11 in, 2011. Jiří Kornatovský, Big Gentle, graphite on wallpaper, 85 in X 198 in, 1993. 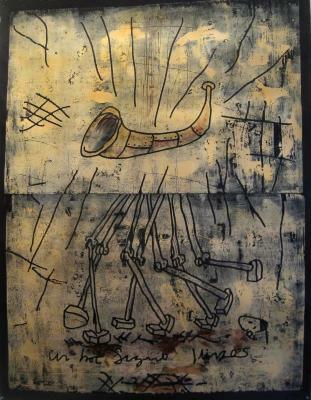 Simon Lewandowski, In Hoc Signo Vinces, Woodcut, 66 in X 51 in, 1995. 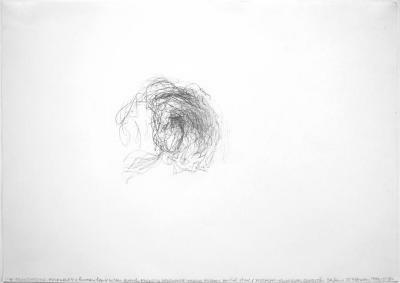 Morgan O’Hara, Live Transmission: Movement of the Human Heart, Graphite on paper, 8.25" X 11.5 in, 1999. Gelah Penn, Filament Study #6, monofilament and acrylic on paper , 8 in X 8 in, 2005. 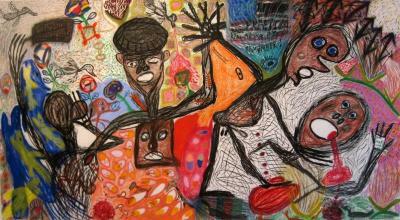 Orlando Richards, Promise, charcoal, astel, crayon on paper, 5 ft X 7 ft, 2008. Mimmo Roselli, Bolivia 2, Watercolor/gouache, 5 in X 7 in, 2014. Kiyomitsu Saito, Foolish drawing on picture, March 21, 2012, 8 in X 10 in, 2012. 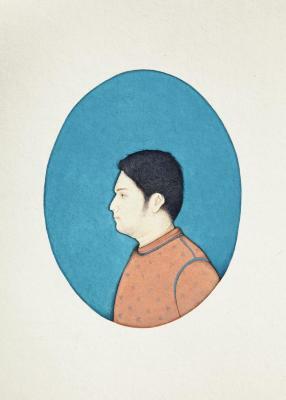 Hiba Schahbaz, Guayan (Portrait), Gouache and watercolor on wasli , 8 in X 6.75 in, 2012. 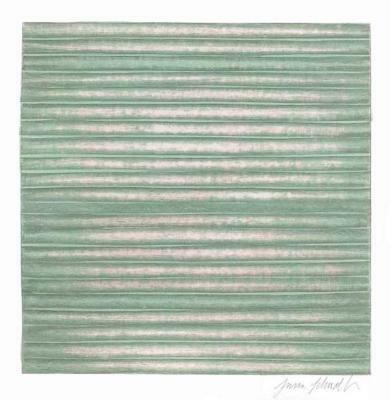 Susan Schwalb, Moment #187, Silverpoint and acrylic, 6" X 6", 2000. 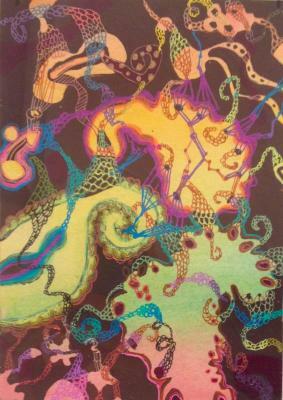 Emily Stern, Knitted Paisley, Watercolor, flashe, and pen, 7 in X 5 in, 2005. 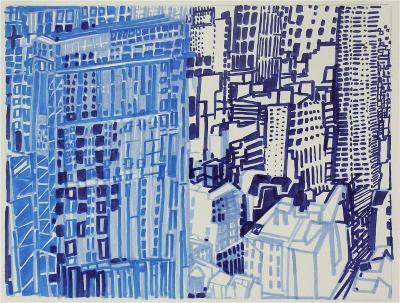 Josette Urso, Jump City, Ink on paper, 10 in X 11 in, 2007. 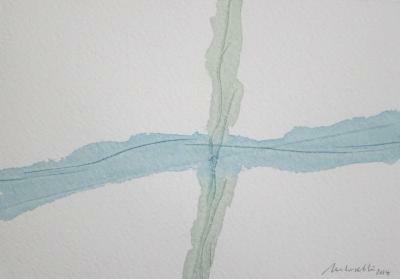 Martin Zet, Sea Drawing: New York Harbor, Ink and sea water on paper, 60 in X 178 in, 1999. Martin Zet, Sea Drawing: 3 Rivers, Ink, 59 in X 68 in, 1999.